Our first baby carrier was Ergobaby Adapt. It took me months and lots of googling and reading to finally decide that its the choice! I should have adjusted her seat. BEFORE: WHY I LIKED IT? - Most SSC baby carriers are only for 4 months above. Do double check. Eventhough your baby exceeds recommended weight, do not use it if baby is not yet 4mo. Why 4mo? At that age, they have strong and consistent head and neck control and their backbones are stronger. - I wanted to use a SSC baby carrier as soon as I can hence this is a WIN criteria! I didn't think wraps or ring sling would suit me. - Adapt is the only Ergo line that needs no insert. - Only by looking at it, I could sense that its tooooo warm for Malaysia! Kan??! I mean I don't plan to use it in malls or air conditioned places only.. Proven from many reviews that its quite warm. How to use an infant insert? 3) Grow with your baby! - Can hold up to 20kg and it has bigger panel width and taller panel height compared to other versions of Ergo. - This means you can think of an upgrade at later time compared to others. Jimat! - Unlike other Ergos, Adapt is only limited to solid colours like grey, black and blue with no patterns. WHAT I LIKED AFTER USING ONE? - Adapt has waistbelt that covers the lumbar part of backbones. This makes it tighten very well around waist. Tak banyak SSC yang ada feature ini. Selalunya SSC ada buckles je di tengah-tengah. - My husband's spine is a little curvy on lumbar area which can hurt sometimes. So, this lumbar support gave him comfort and he loves this feature so much! Straps can be criss-crossed for more snug - first for Ergo carrier! 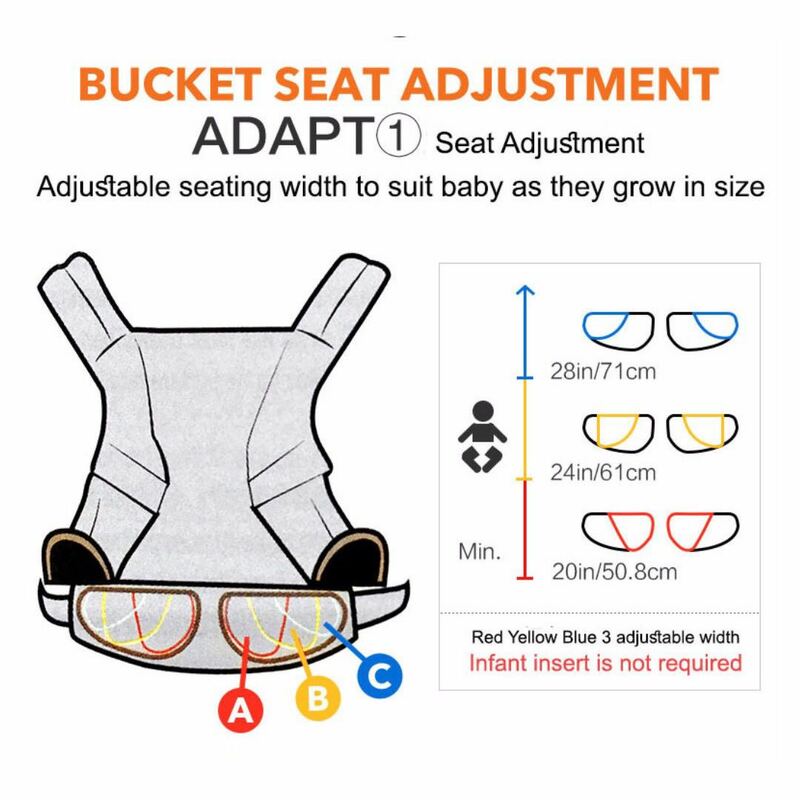 - The seat width can be adjusted to 3 levels: A, B, C. As baby grows, their height increases so to ensure the seat support the leg accordingly, the width must increase. - The hood is not detachable but when not in use, you can just tuck it away into the pocket. When in need, just snap onto the shoulder strap. 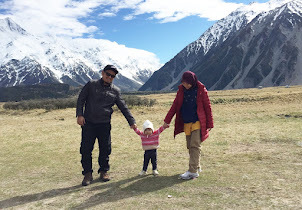 We use it when we go out under the sun and I think hood is a must for a baby carrier. Baby can still peek out anyway. - I'm a person who loves pockets. Buat baju kurung je mesti nak poket 😀 Sometimes, I just need to bring a handphone and money when going out with my baby so a pocket is all what I need. Very handy. I like! 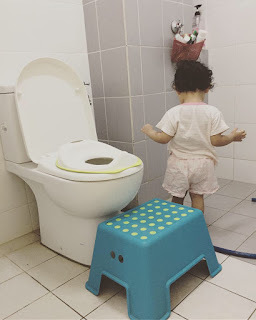 - Untuk baby yang kecil, kepala dan tengkuk mereka masih belum kuat. Lembik. Masih belum boleh kawal dengan baik. Adapt ni ada macam kusyen di tengkuk untuk sokongan tambahan. - When Kawthar was a newborn, we folded the support inside to make it more comfy. As she grows up and there's little space inside, we folded it outside. Boleh juga tinggikan kusyen tu. Adjust pada butang. Easy as 1,2,3. - Ironically, the innovative part makes it not as simple as other SSC. I took time to learn and adapt to it (ironi betul kan?!). This means when changing wearer (i.e.from my husband to me), it takes a little bit of time to do adjustments needed. My husband was more expert at adjusting it and it fit him well so I usually just let my husband use it cos I was too lazy to adjust. Haha. He loved this Ergobaby Adapt anwyay! - Some people find it cushy and comfy for their body. But I think because my body frame is quite petite, I felt it a little bit bulky for my shoulder. How did I realize that? After trying Jumpsac SSC! 😁 Later I learnt that one carrier may suit one's body more than another so it's good to rent first before getting one. At the end, I let go my Ergobaby Adapt. It was awesome but not meant for me. What made me decide to let it go? After I found Jumpsac baby SSC, local made carrier. I hope you will find THE ONE too! 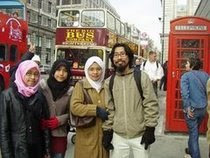 Wife to Ridwan. Mommy to little Kawthar.